Microbubbles and nanobubbles have several characteristics that are comparable with millimeter- and centimeter-sized bubbles. These characteristics are their small size, which results in large surface area and high bioactivity, low rising velocity, decreased friction drag, high internal pressure, large gas dissolution capacity, negatively charged surface, and ability to be crushed and form free radicals. Microbubbles and nanobubbles have found applications in a variety of fields such as engineering, agriculture, environment, food, and medicine. Microbubbles have been successfully used in aquacultures of oysters in Hiroshima, scallops in Hokkaido, and pearls in Mie Prefecture, Japan. This field has shown a strong potential for growth. 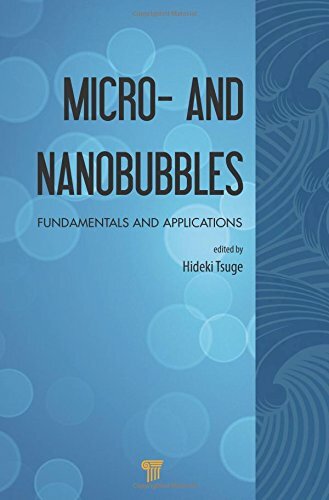 This book comprehensively discusses microbubbles and nanobubbles and their application in aquaculture, environment, engineering, medicine, stock raising, agriculture, and marine industry. It presents their potential as a new technology that can be utilized globally. Hideki Tsuge is professor emeritus of chemical engineering at Keio University, Japan. He received his doctorate in engineering from Keio University in 1973. In 1984, he was visiting professor at Technische Universität Berlin, West Germany. From 1988 to 2007, he was professor in chemical engineering at Keio University, from where he retired in 2007. In 2007, he received the award for outstanding research achievement on bubble characteristics and their engineering applications from the Society of Chemical Engineers, Japan, and the award for outstanding research achievement on the reactive crystallization of dissolved salts in sea water from the Society of Sea Water Science, Japan. Dr. Tsuge has published more than 80 articles in international journals and authored and edited 23 books.